Branding goes way beyond your logo. It is everything that can be seen or heard in relation to your business. From the colours you use, the font you choose, the way you answer the phone, the language you use in your emails and social media, even the type of paper you use for your business cards! All of this is so important to the image of your business. If you are running a high end restaurant for example, but print your menu at home on cheap paper, and stick it in a plastic wallet – your clients experience will instantly become confused, and your brand cheapened. As well as making sure your brand matches you and your business, it also needs to be consistent. Choose a ‘style’ and stick to it, on everything! Facebook graphics, logo, van signage, website, business cards etc – all need to be instantly recognisable as being ‘your brand’. A perfect example of this is the Apple brand. You can spot an Apple product box or device from a mile away – even if you don’t use Apple products yourself. Their brand is so consistent, with the white packaging, tell-tale curves, and of course the extensive use of the Helvetica font – which is always a favourite for designers! 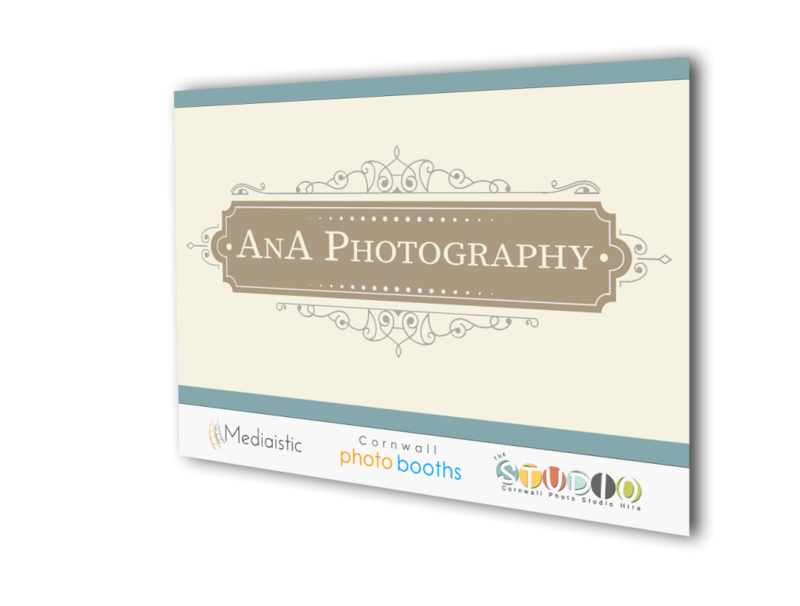 Over the years, like many young businesses, AnA Photography re-branded a few times, with different styles and looks. 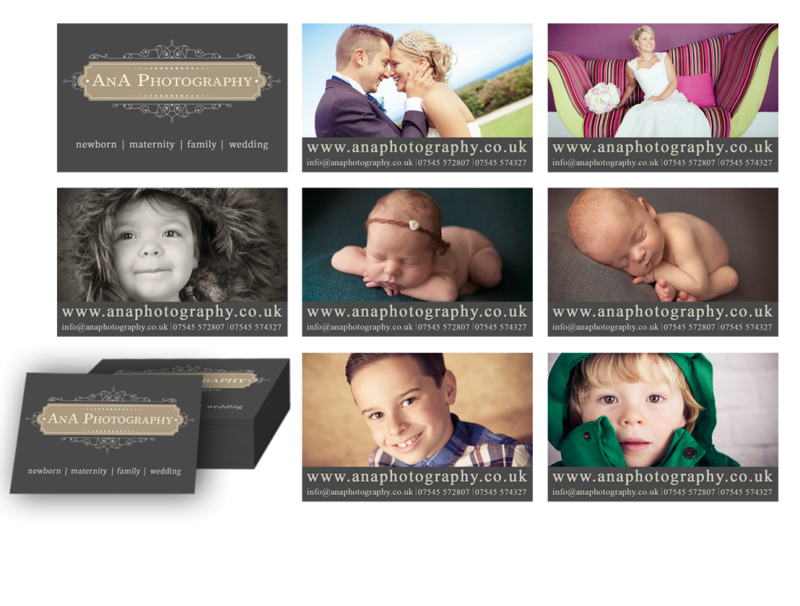 At the beginning of 2015 we started to work to re-build the visual brand for AnA Photography – to bring it in line with the style of the photography, business, client base and the direction it was heading. One of the biggest things we needed to concentrate on was making sure the brand was consistent across all media. 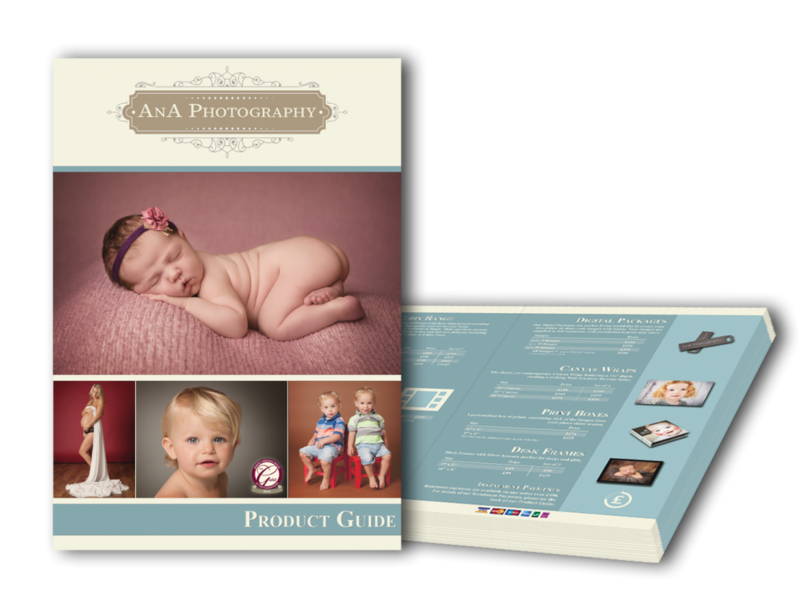 We needed to ensure that even at first glance, an image, website, leaflet, advert etc would be identifiable as being the ‘AnA Photography Brand’. This started with choosing a colour palette that worked well together, both digitally and in print, that would be used throughout the business, both with branding and marketing. We then looked at typography, changing from the existing Sans Serif style fonts to a Serif font. 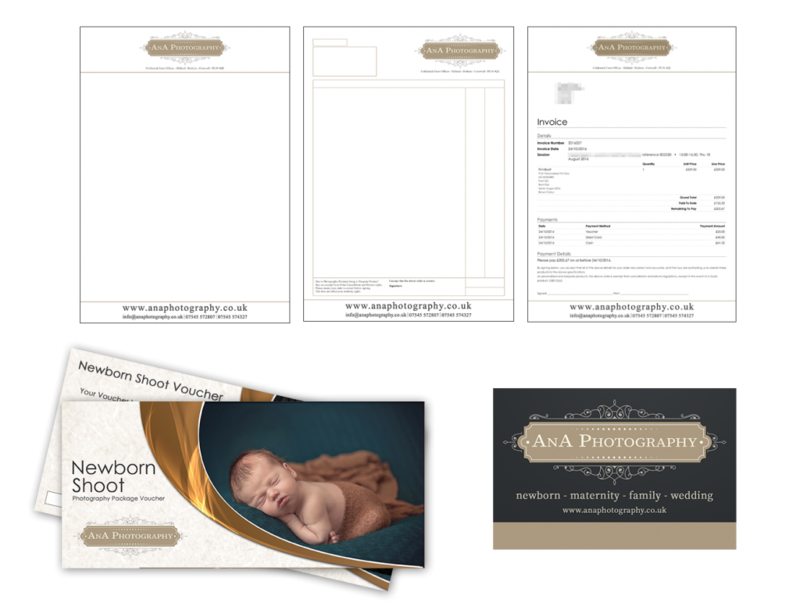 Once the visual branding scheme was decided upon – we then set to work creating Business Cards, Order Pads, Signage for the Studio, Stationery, and Brochures, all using similar layouts, and colours within the branding theme. We worked with a variety of our printing partners, to ensure a quality feel and look to all of the printed media. 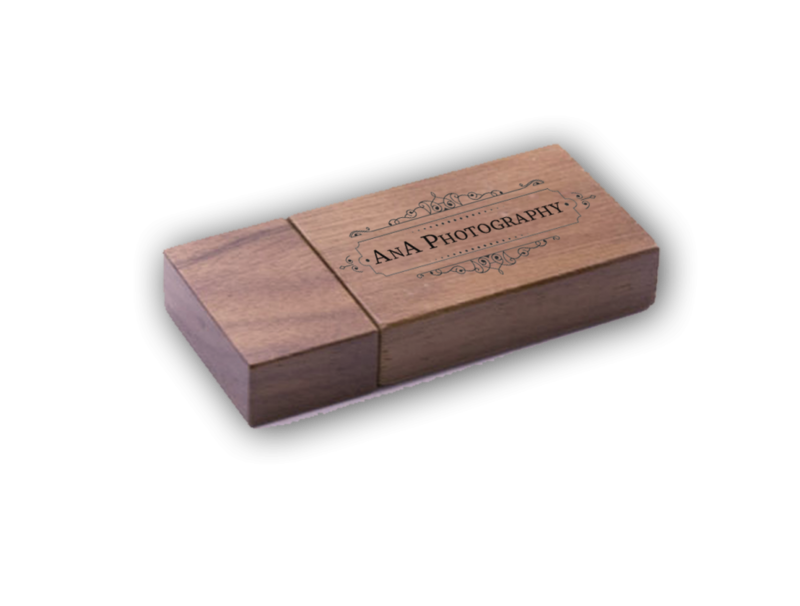 Finally we sourced, designed and delivered customised engraved wooden USB sticks, including engraved wooden boxes – which are used to deliver full resolution images to clients. 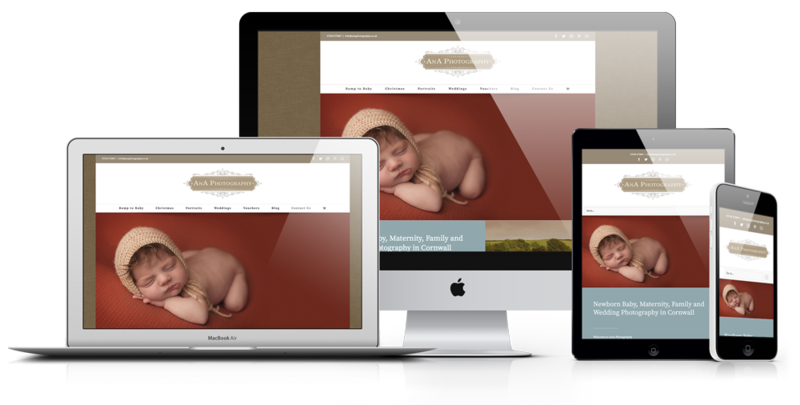 Finally – the website had an overhaul, bringing the styling inline with the new branding, replacing the logo and typography, and ensuring the wording matched the business brand.